The Presidency on Monday disclosed that FG has done more than many people know contrary to the claims of many that the current administration under President Muhammadu Buhari has not done much to tackle the spate of killings across the country. 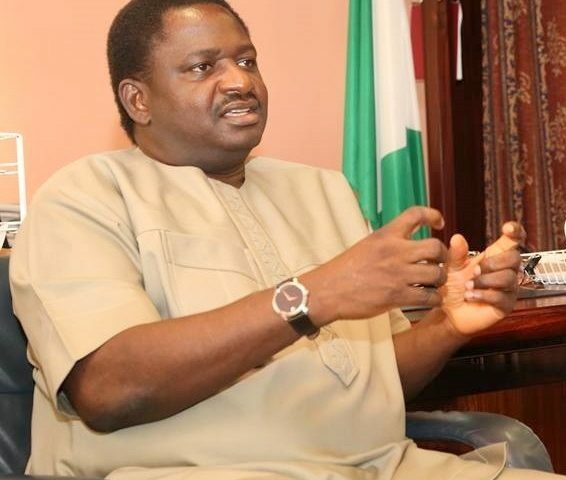 This was made known through Buhari’s Special Adviser on Media and Publicity; Femi Adesina who noted that the President was swift in his order of the deployment of security operatives to some affected areas, shortly after those states were attacked. He noted that, “A popular refrain from some quarters is that the President is not doing enough to combat the insecurity that has beleaguered the country in recent times. The leadership of the police deployed to Benue State, after mass killings reportedly committed by herdsmen. This was followed by a fact-finding team led by the Minister of Interior, and deployment of Special Forces of the military, to restore law and order. National Economic Council sets up 10-man committee on farmers/herdsmen clashes, headed by the Vice President. The Nigerian Army commenced Exercise Ayem Akpatuma covering Benue, Taraba, Kogi, Nasarawa, Kaduna and Niger States, in order to tackle the cases of kidnappings, herdsmen/farmers’ clashes, among others. The Nigerian Air Force (NAF) inducted its first indigenous operational Unmanned Aerial Vehicle (UAV), Tsaigumi. The newly-inducted UAV has day and night capability, an operational endurance in excess of 10 hours, a service ceiling of 15,000 feet and a mission radius of 100km, and is capable of being used for policing operations, disaster management, convoy protection, maritime patrol, pipeline, power line monitoring as well as mapping and border patrol duties. The Nigerian Air Force (NAF) established a total of 10 new Units as NAF had concluded plans to set up Quick Response Wings (QRWs) across Nasarawa State, in a bid to tackle the herders/farmers clashes plaguing some states within the axis. President Buhari began sympathy visits to states that had experienced wanton killings in the country. The Nigerian Army extended Exercise Ayem Akpatuma in Taraba State by two months. The committee set up by the National Economic Council on farmers/herdsmen clashes submits report, making far-reaching recommendations for peace, including ranching in five states. The Nigerian Air Force took delivery of a second batch of 2 brand new Mi-35N helicopter gunships to boost internal security. The Nigerian Police Force inaugurated a Mobile Squadron in Takum, Taraba State. The Nigerian Air Force established 3 new Quick Response Wings (QRW) in Taraba, Nasarawa and Benue States respectively, and deployed Special Forces personnel to these new bases. (Taraba State QRW is located in Nguroje; Nasarawa State QRW in Doma; and Benue State QRW in Agatu). Inspector-General of Police Ibrahim Idris ordered the deployment of 200 policemen, and 10 patrol vehicles to Birnin Gwari (Kaduna-Zamfara axis) to tackle armed banditry in the area. President Buhari approved the establishment of a new Battalion of the Nigerian Army, as well as a new Police Area Command, in Birnin Gwari LGA of Kaduna State, as part of measures to scale up the security response to the banditry affecting the area. Chief of Army Staff, Lt Gen. Tukur Buratai, has since flagged off the new Battalion (2 Battalion Forward Operating Base, FOB) in Kanfanin Doka Village, Birnin-Gwari, Kaduna State. The Defence Headquarters assembled a Special Military Intervention Force comprising more than 1,000 personnel, drawn from the Army, Air Force, Navy, Police, DSS, and NSCDC, to respond to the security challenges in the North Central and North West. On May 8, 2018, the Force launched Operation WHIRL STROKE, as a full-scale military operation to completely restore law, order, and stability in the affected communities. The Whirl Stroke Operational Force Commander is Major General Adeyemi Yekini. Chief of Army Staff inducted a mix of 49 Toyota Land Cruisers and Innoson gun trucks, at the HQ of the 133 Special Forces Battalion of the Nigerian Army at Azare, to support the ongoing OPERATION LAST HOLD in Northern Borno. 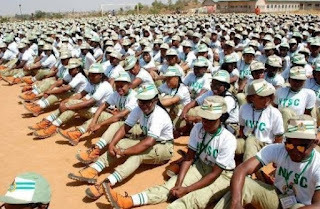 NAF launched newly-constructed accommodation for the 205 Combat Search and Rescue Group (CSARG) — established in 2017 to provide aid and operational assistance to wounded and distressed troops serving in combat units — in Kerang, Plateau State. The Air Task Force of NAF commenced Operation THUNDERSTRIKE to attack selected locations of Boko Haram Terrorists in the North-East. NAF deployed combat helicopter to its 207 Quick Response Group (QRG) in Gusau, Zamfara State to support the fight against armed banditry in the town and its environs. President Buhari approved the establishment of Operation WHIRL STROKE II, for deployment in Zamfara and Kaduna States. Other security challenges are being tackled and will subsequently become history. Not doing enough, as some critics claim, is not part of the deal, nor is it a reality, no, not by any stretch of the imagination. A lot is being done, and success is guaranteed.